The reviews are in, and the 2018 Nissan Altima is the new star at Future Nissan of Folsom. 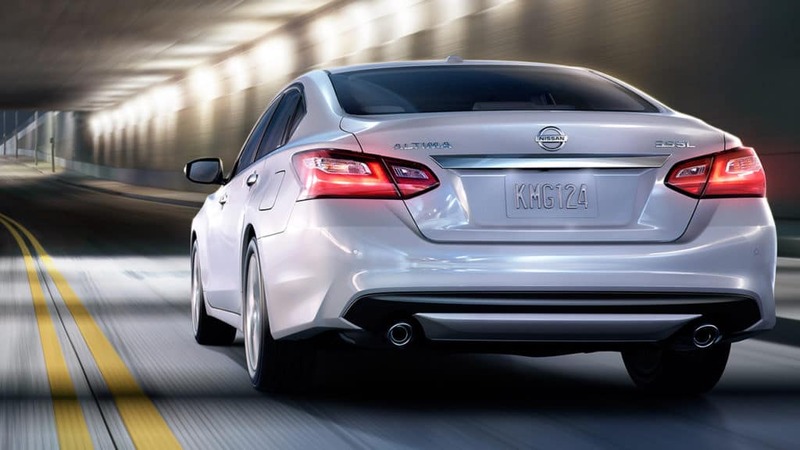 The Altima surges past the competition in the midsize class because of its 270 horsepower. If that wasn’t enough, Altima’s fuel economy clocks in with an impressive 27MPG City and stunning 38MPG Highway. Check out the standard 2.5-liter DOHC 24-valve V6 engine. Compare the Altima’s specs to its competitors and you’ll immediately see why its features are at the top of its class. Good news, the Altima’s body has been completely redesigned. The 2018 Altima’s look evokes the historic Altima Coupe model. Drivers can’t help but notice the graceful curves and sharp embellishments throughout the car’s profile. The car’s distinctive u-shaped grill is emblematic of the look. Change up the vehicle’s attitude with several standard colors, including Storm Blue, Deep Blue Pearl, Super Black, Gun Metallic, Brilliant Silver, and Glacier White. From El Dorado Hills to Citrus Heights, your new Altima will keep you in the spotlight. The cockpit itself has intuitive controls and an accessible instrument layout to ensure that every Sacramento driver is always comfortable. The 2018 Altima’s handsome contrast trim is sure to please your passengers. 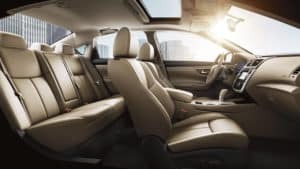 Everyone will ride in total comfort because of the Altima’s headroom and legroom, which are significantly more generous than other interiors in its class. Drive your way! Drivers from Elk Grove and beyond can choose from five exciting package upgrades and trims. Enjoy the standard Bluetooth and Siri compatibility on the S model. 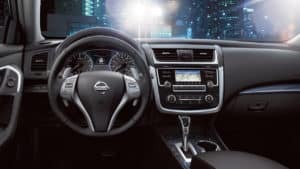 For the sport driver, choose the Altima SR to add 18” aluminum alloy wheels, manual paddle shifters, sport suspension, fog lights, and rear spoiler. Upgrade the Altima’s safety and comfort features with the Altima SV package. It features Blind spot warning, rear cross traffic alert, remote engine start, and climate control. For the lover of luxury, experience the Altima 2.5 and 3.5 SL’s Bose Audio System and leather-appointed seats. We’re proud to report that the NHTSA gives the 2018 Altima a 5-star overall rating. 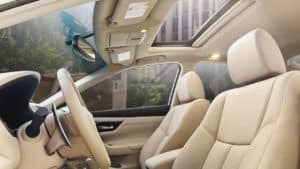 Nissan has made forward collision warning, automatic emergency braking, and a rearview camera standard on the 2018 Altima model. 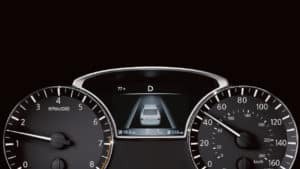 The SL model can even add adaptive cruise control. No need to wait for the release date, we are proud to bring the 2018 Nissan Altima to our valued clients of Folsom and beyond right away. If you have any questions, our helpful Future Nissan of Folsom representatives have a wealth of information to share. Contact us today for a quote or to find a pricing plan that works for you. See you on the road!